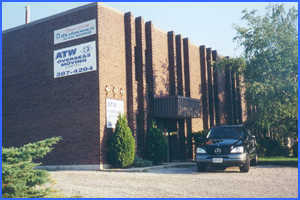 Welcome to ATW Overseas Moving Limited! It is not by chance that ATW has become one of the world's leading international relocation companies. Since 1978 they have specialized in shipping executives and their families to any country “around the world" by ocean and by air. Having over 2,000 overseas affiliations would allow them to provide complete removal and logistic packages to meet your individual needs on a door to door basis. Their strong commitment to excellence is their guarantee ensuring quality, dependability and integrity.